MacBook Pro to Get a Refresh Starting With 15" Model? Breaking down the rumors: What’s happening with Apple’s MacBook Pro? Nothing here is especially ground-breaking, as it’s been the conventional wisdom that Apple’s aging MBP line would be getting physical refresh sometime soon. What’s probably most interesting here is AppleInsider’s lack of use of the word rumor anywhere in the piece referring to the Pro. If the site’s sources are correct, the differences between the Air and Pro lines will come down to flexibility. It’s long been rumored that if Apple decided to take the Air form factor for the Pro line then a lot of the heavy lifting would fall onto external Thunderbolt components. While there aren’t many on the market just yet, we’ve seen accessories that would allow heavy graphics processing and massive storage for a moderate amount of cash. What AI posits is that the difference between a 13-inch Air and 13-inch Pro would come down to faster memory and a soldered SSD in the Air versus replaceable in the Pro. It would seem to make sense, from a pricing perspective, as Apple certainly sells a hefty amount of 13-inch Pros, even now that the 13-inch Air is on the market. The question is whether or not Apple would be interested in forcing the hands of those Air buyers into becoming Pro buyers for just a hard drive and faster RAM. There’s also a matter of increasing prices for older components. If Apple drops down to a slower RAM for a newer-generation chip, this is a problem that it will eventually face. For a while, that slower RAM will be cheaper than whatever speed is optimal for the newest chip. But that only lasts so long. Perhaps Apple’s reasonably quick iteration with the Air line will avoid this problem, but it’s worth mentioning. I think there’s a pretty good chance that what AI is claiming will happen, but I think that there are still some differentiating factors that are missing here. The present Air has two USB ports, as well as a single Thunderbolt port. For the Pro line, I think buyers are going to want 2 of each. I’d also love to see the company keep the ability to do a standard 2.5-inch drive in the Pro line, simply for the sake of capacity for content makers. While Thunderbolt is a great option, it confines you to a desk. That defeats the purpose of a laptop for many of us. 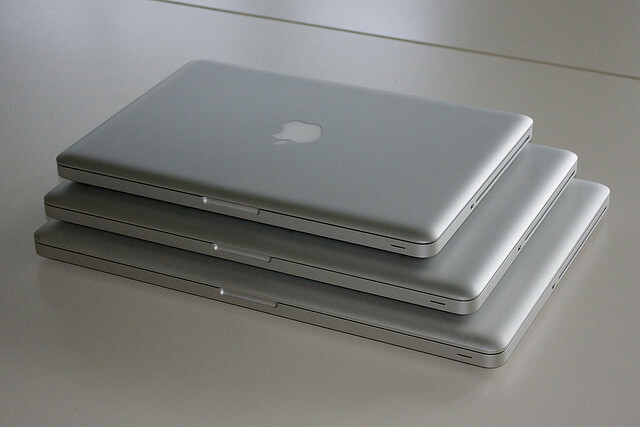 The changes would also open the door for that 15-inch Air that we’ve heard so much about. So sound off in the comments. Is AppleInsider off its rocker or does this all sound plausible for the next generation of MacBook Pro?